With the CableMod PRO ModMesh Cable Kit is achieved PRO-results. These cables were developed to replace cables for Corsair AX, hxi and RM power supplies and are equipped with the dynamic durable ModMesh sleeve. They offer robustness and best craftsmanship. In the cables of CableMod PRO series a new and improved thicker wire was installed, whereby the distance between the individual wires is reduced, resulting in a fuller and more robust appearance result. Each cable is also designed so that the fused component side connections are completely invisible, which means that only clean, non-entangled wires provide an unsurpassed professional look. To bring the look even more effective, the main cables are installed each with matching premium cable combing. 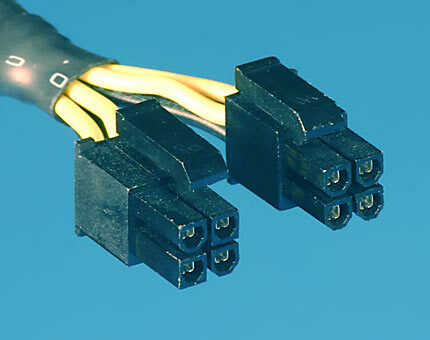 The new hybrid cable combs are also included for the 4 + 4-pin EPS cable. These new combs, combined with the newly developed community-color pattern give a bold, fresh aesthetic that enhances the appearance of any PC system. Like all CableMod products also CableMod PRO series with the utmost attention to detail is made. The famous ModMesh-sleeved represents excellent vibrancy and durability. The only minimalist applied shrink tube was carefully placed behind the motherboard tray, and precisely shaped plugs help to create a safe and proper fit. the enhances the look of any PC system. Like all CableMod products also CableMod PRO series with the utmost attention to detail is made. The famous ModMesh-sleeved represents excellent vibrancy and durability. The only minimalist applied shrink tube was carefully placed behind the motherboard tray, and precisely shaped plugs help to create a safe and proper fit. the enhances the look of any PC system. Like all CableMod products also CableMod PRO series with the utmost attention to detail is made. The famous ModMesh-sleeved represents excellent vibrancy and durability. The only minimalist applied shrink tube was carefully placed behind the motherboard tray, and precisely shaped plugs help to create a safe and proper fit. 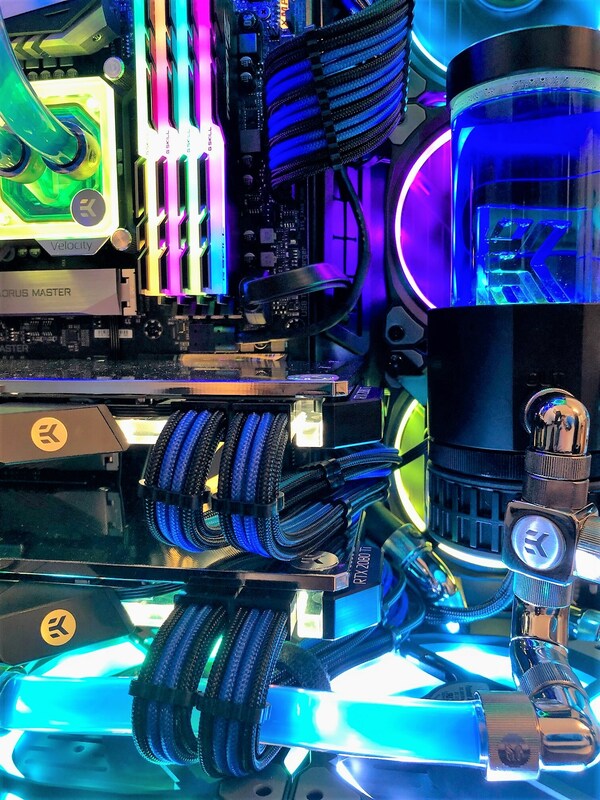 Modding Sleeving covers all our PC modding articles, which offer a more beautiful sleeving or a more stylish jacket for the cable tangle in your PC. These flexible and colourful cables are also intended to ensure that the above-mentioned cable clutter disappears completely. You can also find cable combs, cable splitters and shrink tubes. We can offer you a wide range and articles from manufacturers such as Aquatuning, BitFenix, CableMod, Corsair, E22, EKWB, MDPC-X, Modsmart, Phanteks, PHOBYA, Silverstone and Super Flower. J'ai vu dans la liste des alimentations que l'AX860i est compatble. J'ai actuellement une AX860 est-ce que ce modèle est aussi compatible ? The black/blue combo looks great. If you want to power two RTX GPUs, you will need to get extra cables and this is not so easy or cheap from CableMod as they have minimum purchase amounts and Digitec does not appear to stock individual cables (just kits).